I’m not a huge fan of soup. I feel like soup is a huge tease. It tastes good, it fills you up for about ten minutes, but then you want more. 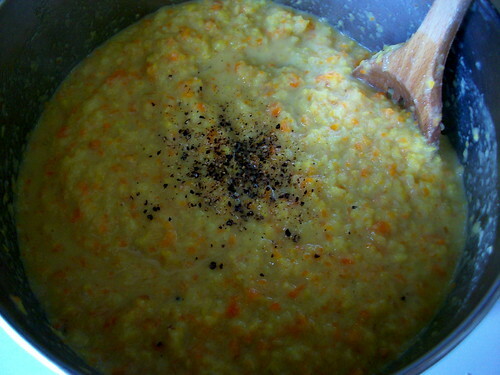 Then you’ll need some summer squash and carrots. 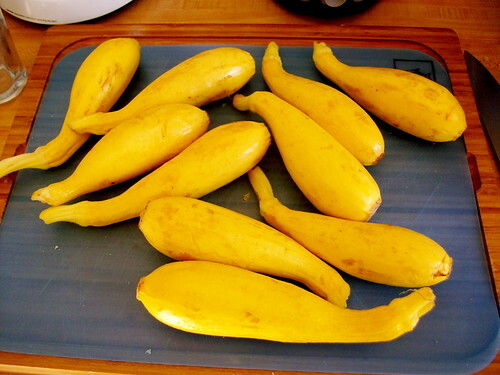 Summer squash are small and yellow. They’re a lot like zucchini in texture, and they give the soup a light flavor while providing lots of filling fiber. I like to get my produce from the farmer’s market (do you know your farmer?) as often as possible. Unfortunately, since we only get farmer’s markets on Saturdays during summer around here, I got these from Safeway. The nice thing about Safeway is that they have a huge produce section, and for the most part, everything is pretty fresh. Before you assume that farmer’s market produce is more expensive than supermarket produce, take some time to actually compare prices. Then take some time to realize that by buying local produce, you are supporting the local economy, AND you’re getting the freshest produce possible. 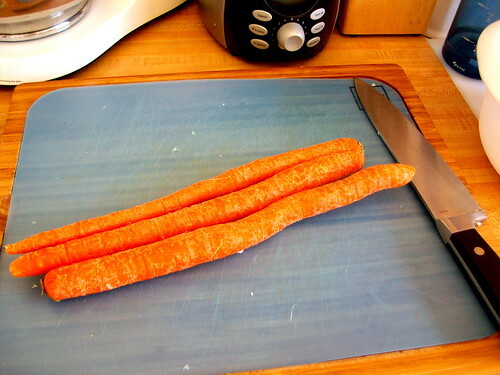 I don’t bother to peel my carrots for this recipe. I do make sure they’re washed well, but since we’re going to be pureeing everything later on, it doesn’t really matter that the carrots have the skin still on. It’s also why it doesn’t matter if your onion isn’t chopped perfectly. It’s kind of nice to be lazy in the kitchen sometimes. 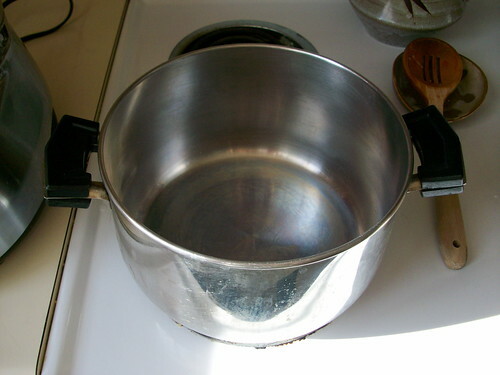 heat some oil in a large pot. 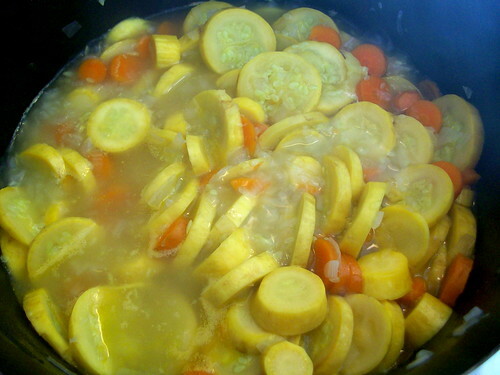 It really does need to be a large pot, because before your vegetables cook down, they’ll take up a LOT of room. Add your onion to the heated oil and saute for a few minutes. “A few minutes” and “some oil” are the types of terms that would have scared me to death. How many minutes? How much oil? I need my timer!! If you need a specific measurement for the oil, how about one tablespoon–ish? 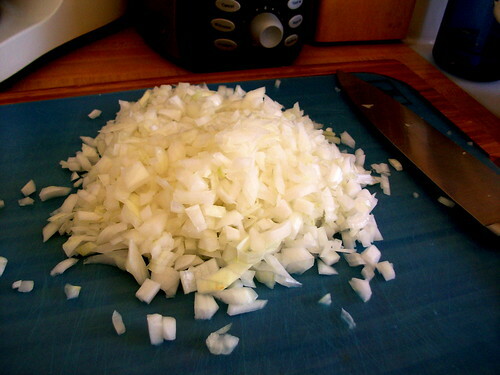 You want the onions to be slightly opaque (transparent), but you want them to stay slightly firm. About five minutes will do. 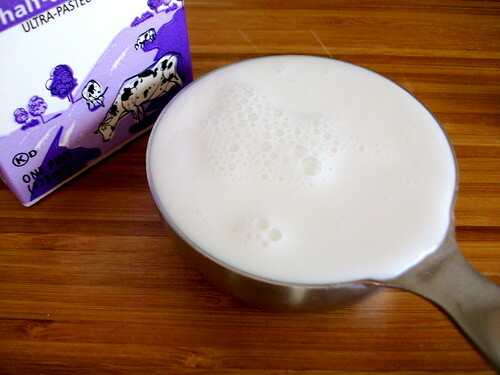 All you have to do is add about 1 1/2 tsp of BTB to 2 cups of warm water. 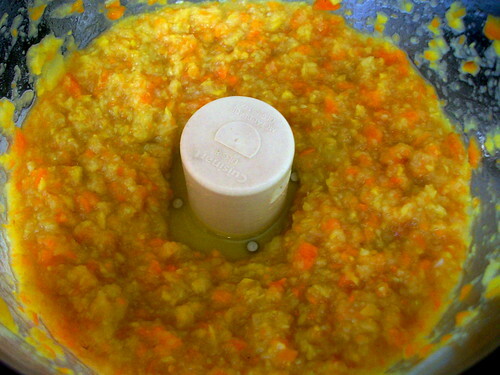 Or, in this case, add 2 extra cups of water to the squash/carrot/onion mix and put the BTB right in the pot! Like I said, it’s nice to be lazy in the kitchen sometimes. 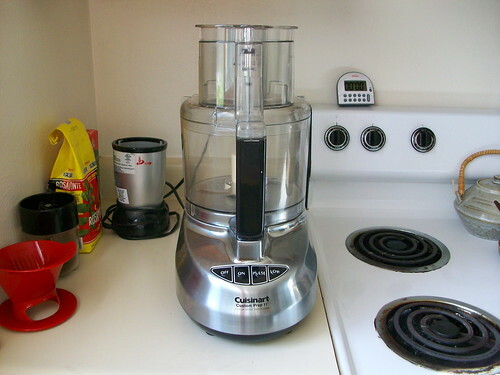 A food processor and an empty pot. 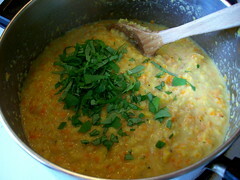 Using a ladle, scoop the vegetables into your food processor and pulse a few times until chunky. 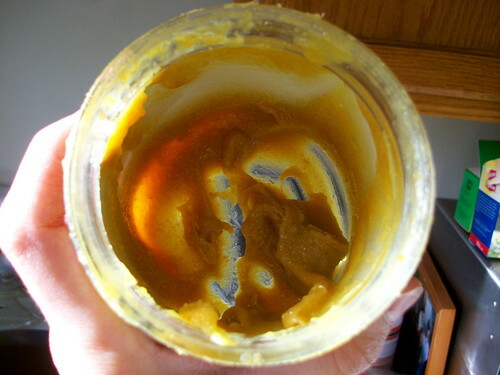 The original recipe says “pureed,” but I like to chew my food. 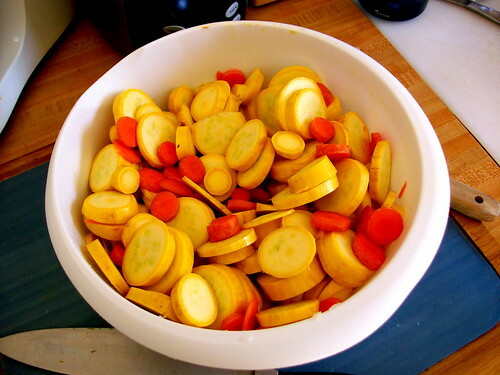 Pour your vegetables into the empty pot, and repeat the process until all your vegetables are gone. Fresh basil! 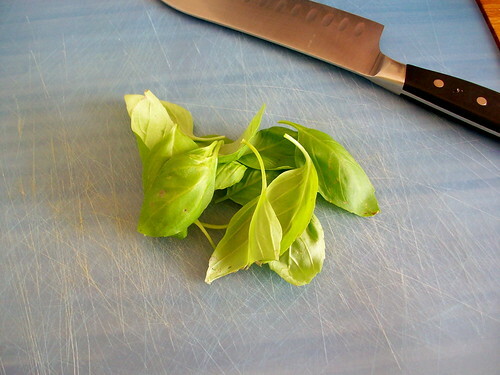 Nothing makes a dish complete quite like fresh basil. With all other herbs, I’d say that fresh and dried are pretty interchangeable. Not so with basil! You absolutely have to use fresh for this recipe, or all is lost. LOST I SAY! The greatest part about this soup is that it’s equally good hot or cold. We actually took this soup camping on the Smith River (I know, soup while camping?!?) and it was deliciously filling without requiring any fire or fuel to heat it up. Pair this with a small sandwich or some spicy chickpeas (recipe coming soon), and you have an easy, filling meal. So there you have it! I hope you love it, but more importantly, I hope you make it your own recipe–with your own variations. Let me know how you change it up in the comments section. Disclaimer: The folks at Cuisinart, Better Than Bouillon, Safeway and Pioneer Woman have no clue who I am. I don’t get any royalties from recommending their products, I just happen to have them in my kitchen (except the Pioneer Woman. That would be sweet though! ).